with the challenge I issued to use pink in all the projects this month. Look at that rainbow of color! I love how she used the border stamp to create a wonderful background panel. 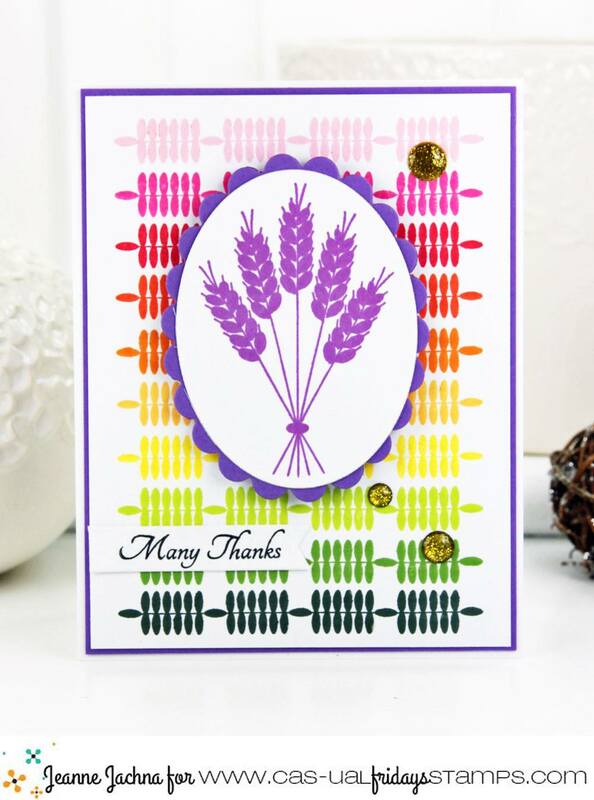 Her fun use of color makes this thank you card relevant for anytime of the year! You can enjoy special savings during our birthday month, while supplies last. This. Is. Beautiful. Loving the colors! WOW!! !